"Nail art is choosing to be different." 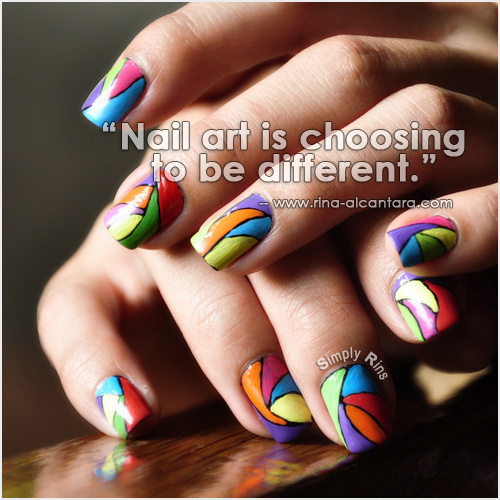 Note: This nail art quote is a personal insight. I love this Rins - I love to do similar nail art combining strong colors like this - it's so refreshing from time to time!! Id like to show you what Ive made for these beautiful sayings. Its not much but I had to share them!